Josh focuses his expertise on helping clients protect and grow their assets. Though he specializes in a variety of disciplines, Josh's primary role centers around researching investments, as well as in-depth analysis, monitoring and servicing of client portfolios. 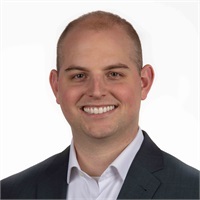 An integral member of the GT Financial team, Josh brings valuable industry experience to the firm as a former Investment Advisory Analyst with Advisor Group and Woodbury Financial Services. A Wisconsin native, Josh attended the University of Wisconsin at La Crosse where he received a Bachelor of Science in Finance. Josh is a Quartermaster Officer in the Wisconsin Army National Guard where he serves as a Company Executive Officer with Headquarters Company, 132nd BSB, a Forward Support Company Unit. Outside of the office, Josh enjoys watching and playing football, basketball, billiards and spending as much time as possible with his wife, Chelsea.